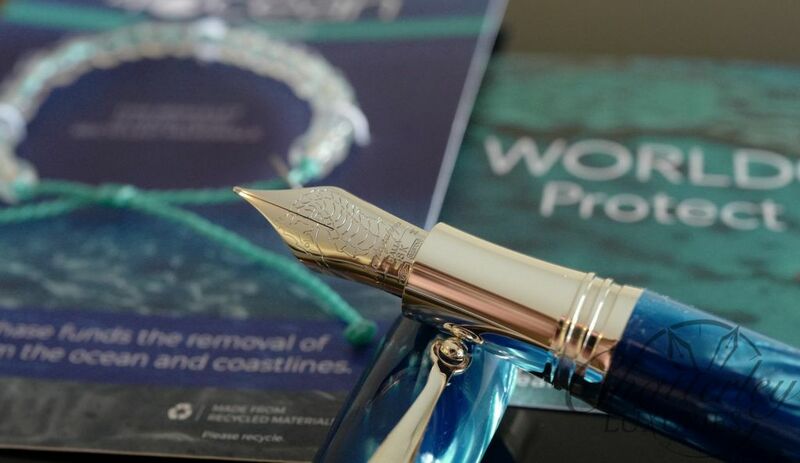 An exclusive made for Chatterley pens. The second installment of Chatterley Cosmopolitans have arrived. The first version was in 3 different celluloids. This version takes the uniqueness to a new level. 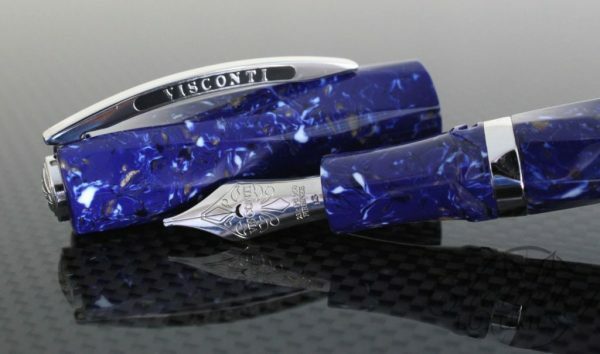 Every color of Resin/Celluloid is very limited. This particular version is limited and numbered to only 12 pens worldwide. 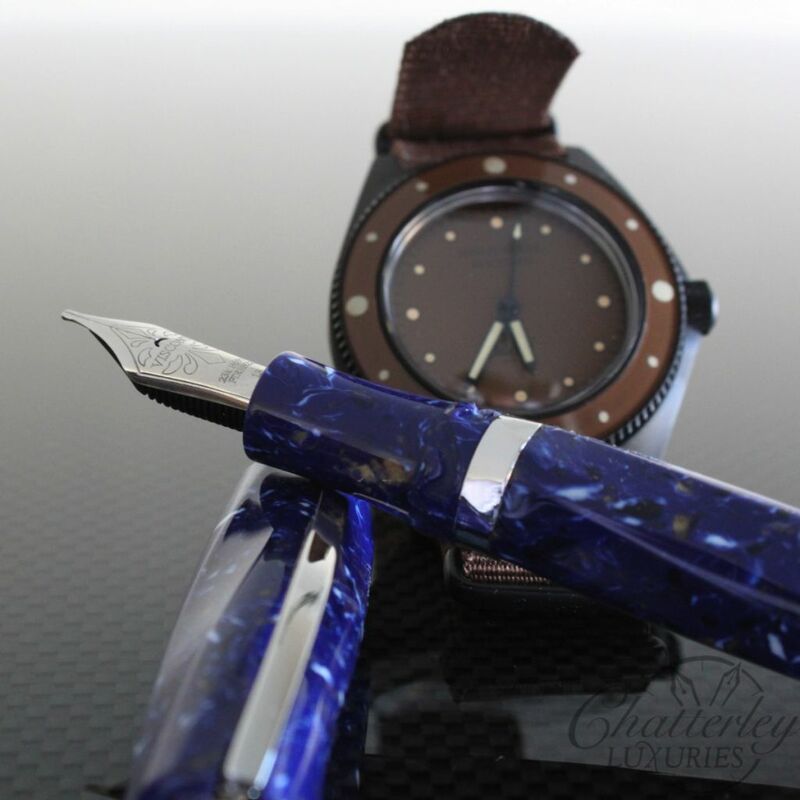 You may recognize this celluloid from the Voyager Blue Lapis Fountain Pen. It shares the same celluloid. This celluloid is amazing. 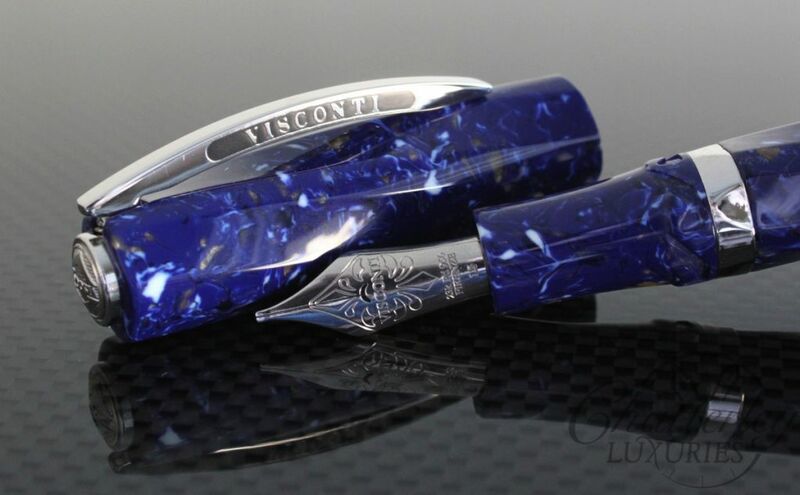 Its a beautiful blue with white and golden brown embedded. The material looks almost like a gem stone. 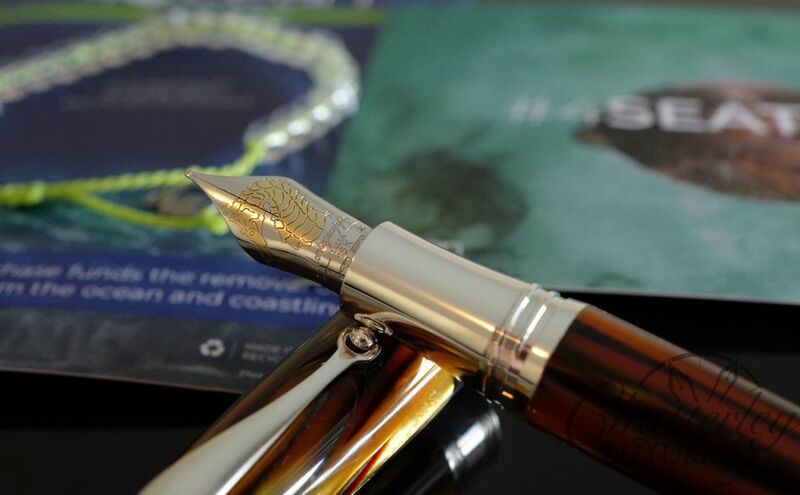 The Spiral design first seen on the Divine Proportions Fountain Pen, is a very hard shape to make. It takes workers hours alone to create and polish down each part of the pen to make sure the spirals are even, smooth and aligned.